(Text automatically translated) It 'a typical family house in the countryside of approx. 80. The apartment on the first floor consists of a large kitchen-dining room and living room with large window view of the sea, large double bedroom, single bedroom with three beds, bathroom with shower, terrace with sea view, outdoor shower. E 'surrounded by a garden square. Around 1500 with barbecue surrounded by green olive trees, myrtle, mastic and arbutus. Very quiet, and just a few meters from all services and formed the backbone of the famous beaches of Cala liberotto, sas linnas siccas - Fuile the sea and the natural park of Bidderosa. For those who want the linen is available. "La casa è molto carina, arredata con gusto, fresca e pulitissima. Il contesto è tranquillo e silenzioso. A poca distanza, in auto, si raggiungono belle spiaggie e servizi tra cui ristoranti, supermercati, edicola, tabacchi, farmacia, guardia medica, ecc." Un peu loin de la mer.Région arride et peu d'efforts dans le pays pour rendre l'environnement agréable poubelles un peu partout.Dommage." "Casa perfetta per il relax, molto silenzioso il contesto ambientale. Vista mare spettacolare, ed accesso dalla strada statale molto comodo. Tante bellissime spiaggia vicino all'alloggio. 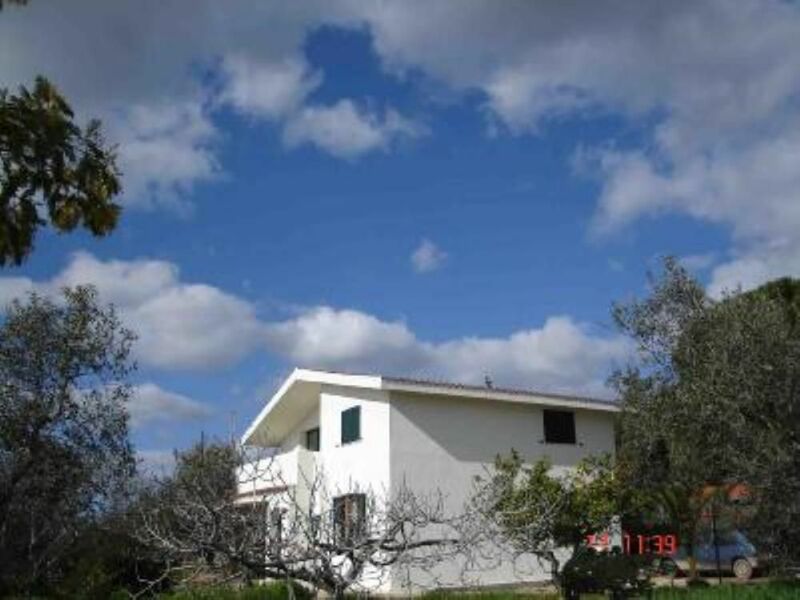 (Text automatically translated) The villa is accessed from highway 125 Orosei - Olbia (ml. 100), after about 1 km from the hamlet of "Sos Alinos."